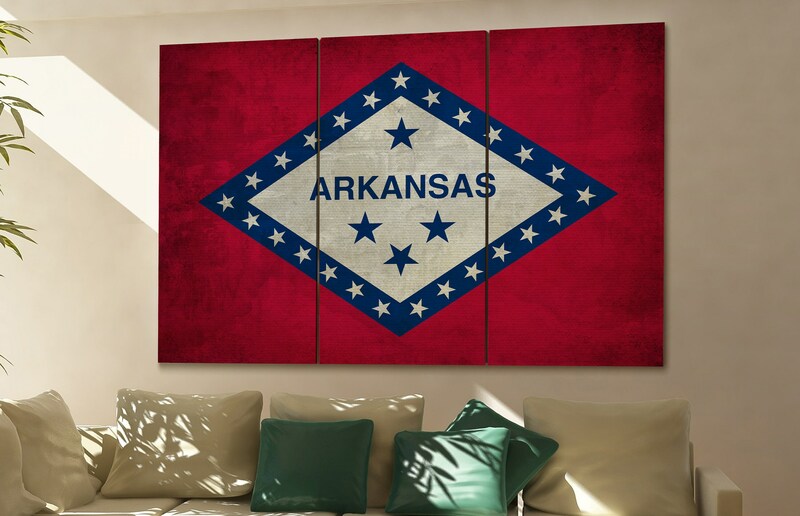 Arkansas state flag is printed on canvas. 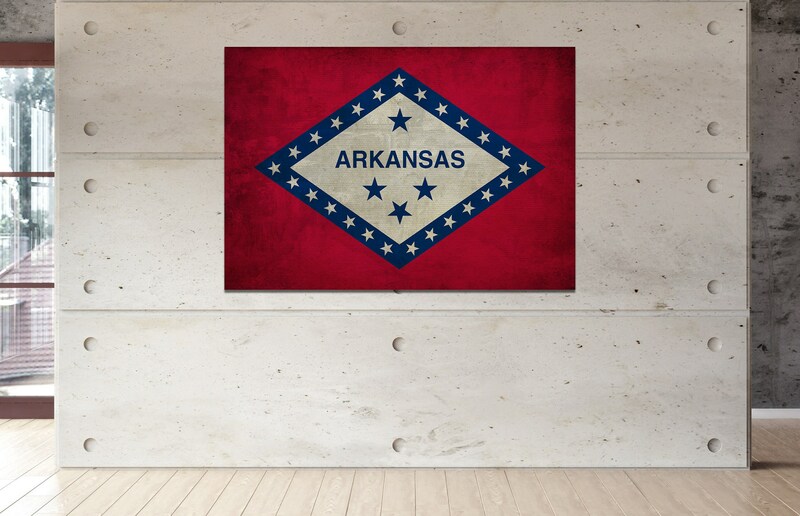 We deliver a finished printed gallery wrapped Arkansas state flag product. The product is carefully handmade in our own production area. If you need any adjustments in size or color, we are happy to help out. The estimated shipping worldwide is 2 up to 5 working days ex dispatch time. 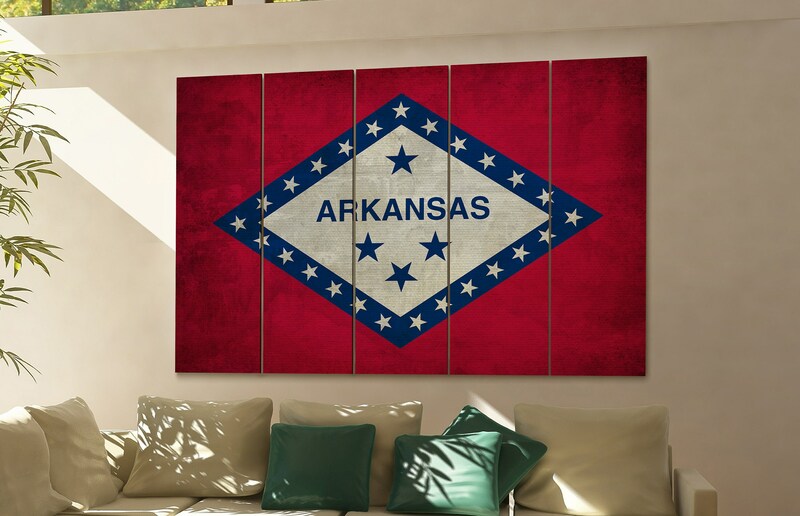 If you have any more questions regarding item Arkansas state flag large canvas rustic wall art art prints, feel free to contact CanvasConquest. Great item and EXCELLENT customer service! I am so pleased with my purchase and would highly recommend. Thank you! You can look the web from one end to the other, and I doubt you'll find someone better to by from. 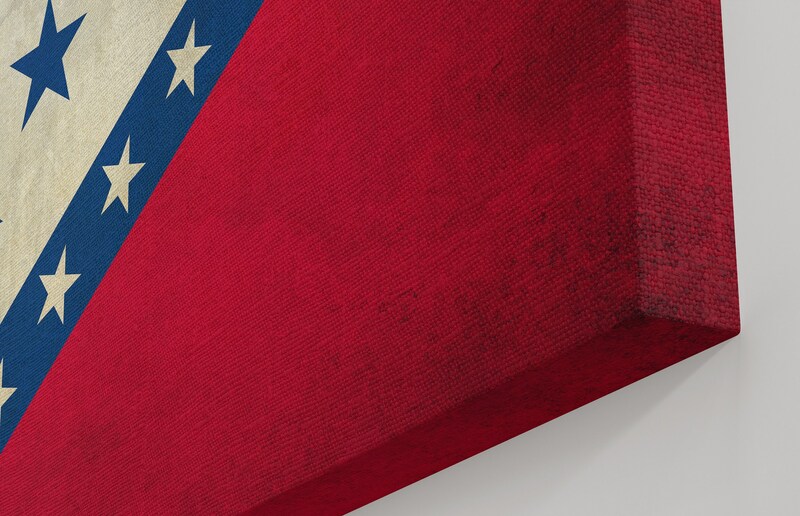 Product was EXCELLENT, and the customer service was BETTER.